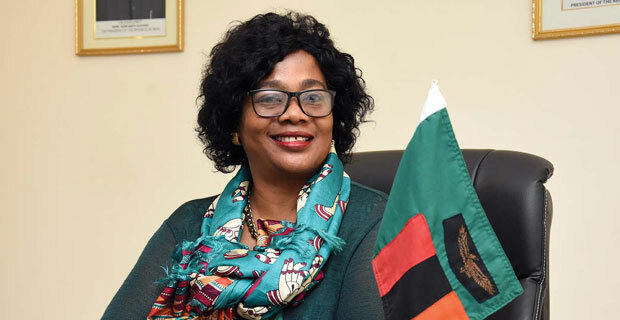 Zambia’s High Commissioner to India Judith Kapijimpanga has assured youths attending a Vision For Future-2019 Summit that Zambia is committed towards attainment of Sustainable Development Goals (SDGs). According to a statement by First Secretary for Press and Tourism at the Zambian Mission in India, Bangwe Naviley, Kapaijimpanga said, “I am delighted to note that Vision for Future -2019, is focusing on International Humanitarian Corporation to achieve Sustainable Development Goals (SDGs)”. Speaking in New Delhi, India this morning when she addressed the Summit which concided with the youth day commemoration, Kapijimpanga said achieving SDGs demanded for effective colloboration with other well meaning countries such as India. “Zambia is committed towards meeting SDGs set by the United Nations (UN) and the country will work with progressive countries such as India and Russia as well as inspired minds such as the delegates to the summit,” she noted. “I am happy to note that five vibrant youths from Zambia namely; Ibrahim Mwamba, Mabvuto Tembo, Misheck Muzungu, Jerome Kanyika and Kalaluka Sepiso joined the summit to share experiencies and learn from their colleagues”. Kapijimpanga said Zambia was looking forward to a successful summit and implementation of its resolutions. And India Minister of Social Justice and Empowerment Ramdas Athawale, said there was need for youths to be champions of national and global development agenda. Ramdas said the Government of India under the leadership of Prime Minister Naredra Modi had achieved milestones in uplifting the welfare of youths. The Minister said he was glad to note that many countries among them Zambia found time to provide insightful information to shape the youths for a vibrant future.